We decided we wanted to stay in Brooklyn. We were more attracted to the idea of finding a place in a more laid back neighbourhood than what you would find on Manhattan. But not hipster-Williamsburg. Or hipster-to-be Greenpoint, or Bushwick. Something more mixed. 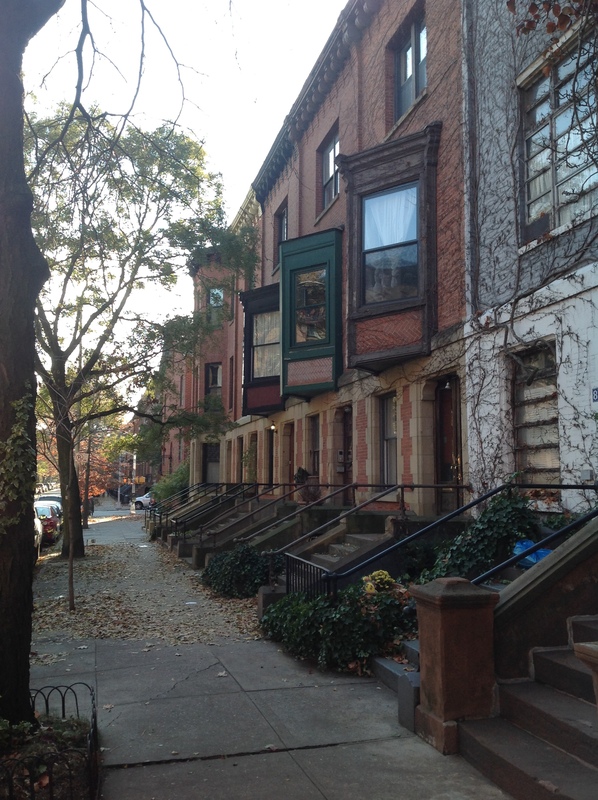 We looked into areas such as Cobble Hill, Boerum Hill, Fort Greene, and Clinton Hill. The place we found is in Clinton Hill. It is located east of the more well known Fort Green (Spike Lee country) and with walking distance to downtown Brooklyn. Lots of brownstone buildings, and tree lined streets. Good Restaurants and cafés. A great diner (Mike’s Coffee Shop).We are staying in a one bedroom apartment in a brownstone from the 19th century, in St. James Place. The street basically looks like most of the other, pretty streets in the neighbourhood, but it has a particular history. 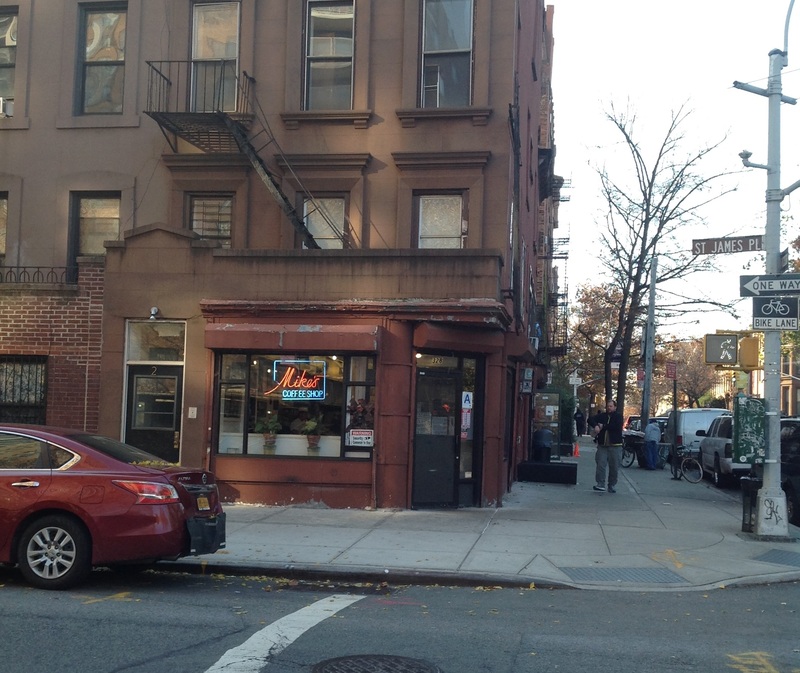 226 St.James Place, two blocks from us, is where the rapper The Notorious B.I.G. grew up. And that at a time when this street, and the whole neighbourhood, was pretty dangerous; at a time when crack flourished. It is very difficult to understand how rapid the transformation of this neighbourhood has been. Fifteen years ago, you could not get a taxi to drive here. Now the brownstone houses on our street sell for at least two million dollars, often much more. But that does not mean that the area has been totally gentrified. You can hear about the ‘hood in the unofficial anthem of New York: “Empire State of Mind”, by Jay-Z. 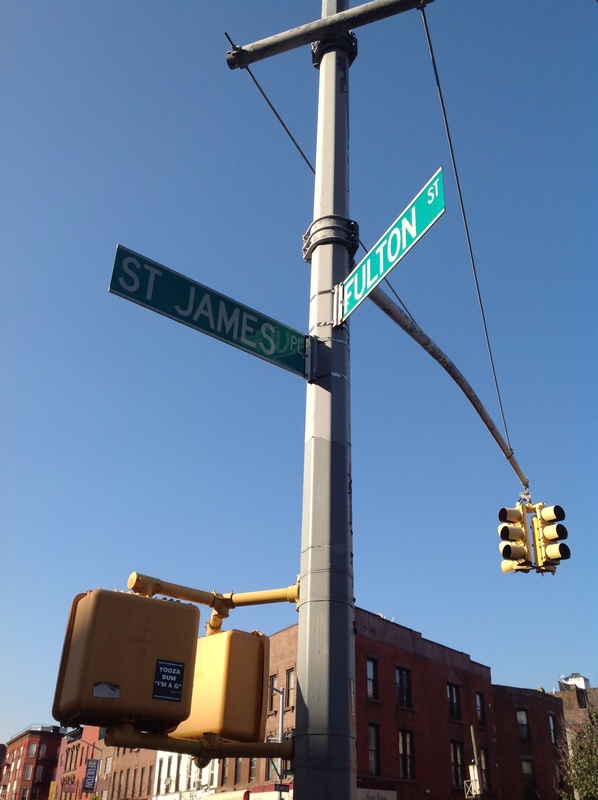 You can also see the St James Place/Fulton Street signposts in the video (after about 40 seconds). Jay-Z, of course, knows this area very well. He grew up in the Marcy Housings projects, which are not far from here. My affiliation this term is with The School of Media Studies at The New School. The New School as such is situated in Greenwhich Village. It is divided into a number of different buildings, the most spectacular being the new University Center on Fifth Avenue, which opened last year (Architects Skidmore, Owings & Merrill). Beside lecture halls, library, a cafeteria and a large auditorium, it has a Faculty Lounge, where you can work. Since space is scarce on Manhattan, and few people have their own offices, the lounge becomes a useful working space. I sit there a lot. Most of the students you see in this building are fashion students from Parsons The New School for Design. 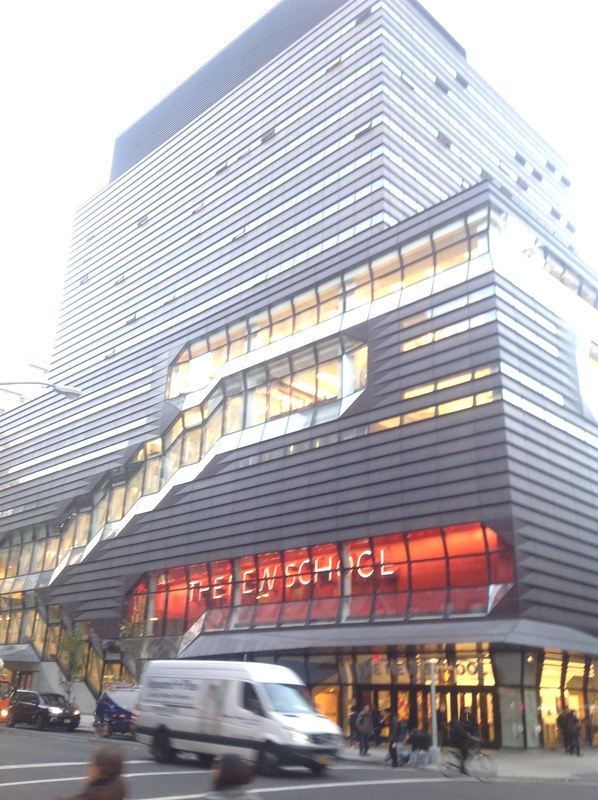 Donna Karan, Marc Jacobs and Tom Ford have all gone to the school, and with their high tuition fees, the fashion students support much of the other programs at The New School. A great number of them come from Asia. The number of things happening every day is of course enormous,and it is difficult to decide upon what to do. The most memorable experience thus far is the concert with Dean Parrish at Dig Deeper, which I have already written about, I have been to a good, and funny, book reading with Simon Critchley, who talked about his book on David Bowie. 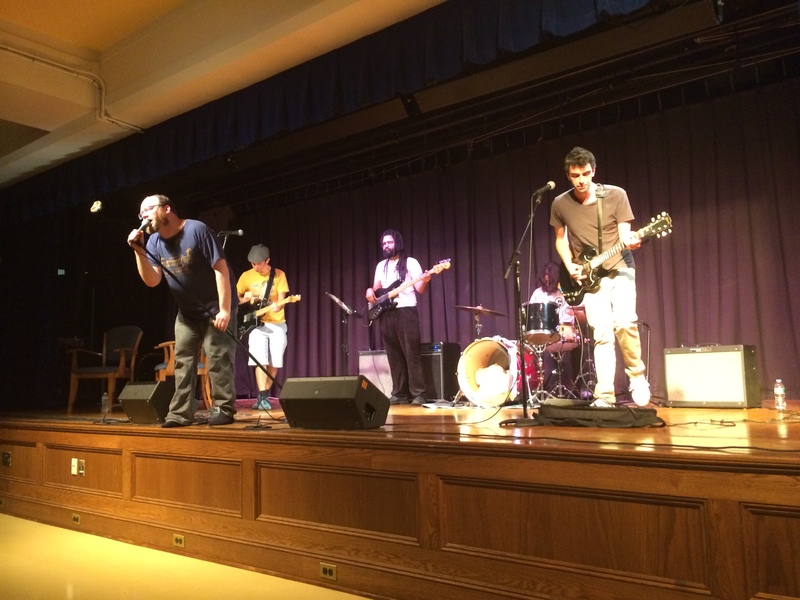 Greil Marcus presented his “The History of Rock ‘n’ Roll in Ten Songs” at another reading. He was accompanied by The Brooklyn What, who did a number of great covers of some of Marcus’ ten songs (wonderful versions of “Shake Some Action”, and “Transmission”, among others). All these three events were in Brooklyn, by the way. Another interesting event was the The Return of Schizo-Culture at MoMA PS1 in Queens last Sunday. It was the (almost) 40th anniversary of the legendary Schizo-Culture conference organized by the journal Semiotext(e) held at Columbia University in 1975. That conference, organized by Semiotext(e) founder Sylvère Lotringer, had a quite astounding line-up: John Cage, William Burroughs,Gilles Deleuze, Félix Guattari, Jean-François Lyotard, Michel Foucault, R.D. Laing, and others, This anniversary event was more of a who’s who in contemporary and not so contemporary New York avant-garde culture: John Giorno, Alan Vega, Penny Arcade, Richard Hell, John Zorn, Kim Gordon, and others performed. John Giorno passionately read his “Thanx 4 Nothin” (another version of him reading it can be found here). 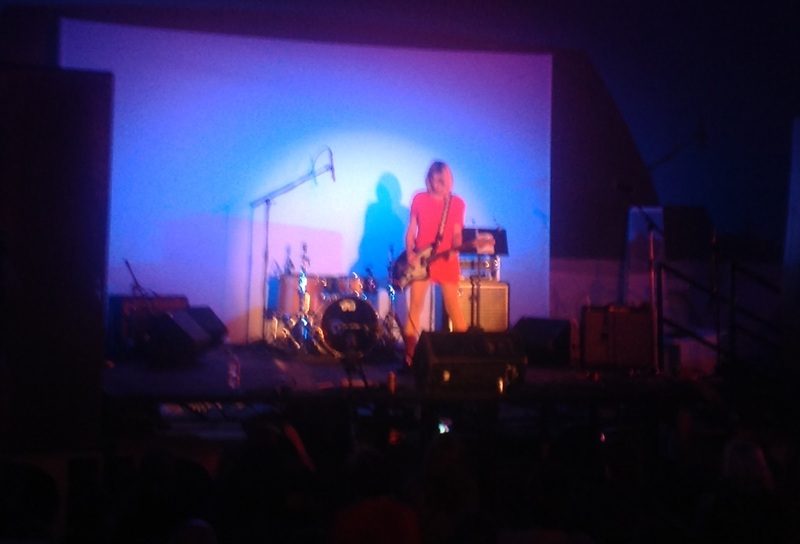 Kim Gordon, alone with electric guitar, was as cool as ever. However, the highlight was unquestionably hearing Sylvère Lotringer reflect on 40 years with Semiotext(e), but also on the transformation of New York during these 40 years, and that transformation’s consequences for art and culture. “We do art, but we do not belong to the art market”, as he put it. But back to Brooklyn. Until 1898, this was a city of its own, and during the late 19th century, the second or third largest in the whole of the States. Ever since it become incorporated in New York City, it has fought to keep its own identity, and there is a certain pride connected with being a Brooklynite. And right now, Brooklyn is more trendy than ever, with a clear movement of people from the media and design sectors leaving Manhattan for the more creative – and somewhat less expensive – Brooklyn. It is not a coincidence that “The Made in NY Media Center“, a huge new space for people within the creative sector, was placed in Brooklyn. Another indicator of the Brooklyn resurgence is sports. One of the largest tragedies in Brooklyn history was when the legendary baseball team The Brooklyn Dodgers relocated to Los Angeles in 1957, and left Brooklyn with no major league team in any of the big sports (baseball, basketball, American football, ice hockey). 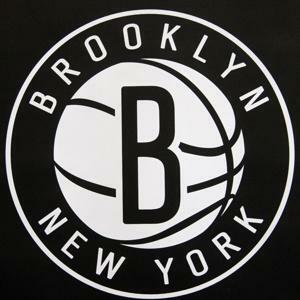 However, in 2012, the basketball team New Jersey Nets relocated to the new Barclays Center in downtown Brooklyn and became the Brooklyn Nets. And next year, the ice hockey team The New York Islanders will also move to the Barclays center. Currently they play in Long Island, which technically is a part of Brooklyn, but culturally something else altogether. Whether The New York Islanders will change its name to The Brooklyn Islanders is still unclear. I am not interested in ice hockey. But I like basketball. And it is interesting to follow the transformation of the Nets, and their re-branding. In New Jesrsey, the team colours were red, blue and silver. But when they moved to Brooklyn, the team changed into the more urban black and white. Jay-Z became one of its owners. And he designed the team’s new logo.